And Shine in Your Orchestra or Band! Want to learn the trumpet, trombone, or French Horn? Our faculty teach Brass Lessons for students of all ages and abilities, from beginners to professional college level. 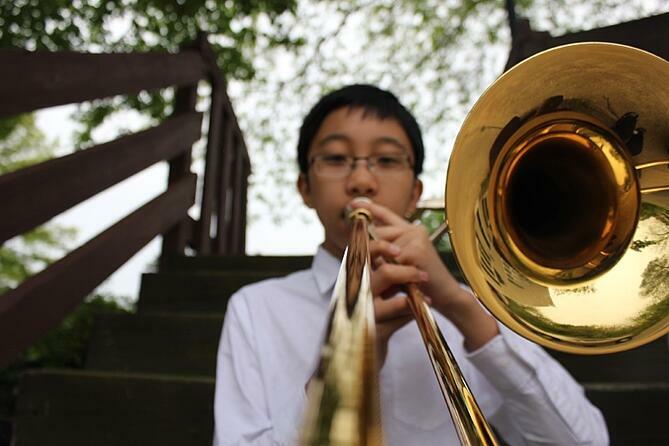 Brass Lessons at HAA will greatly improve your performance in school orchestras and bands. In fact many of our brass students have come to us for that very reason. Enroll for 30-minute, 45-minute, or 60-minute brass lessons. Students should own, or at least have regular access to, a suitable instrument for practice purposes. Many music retailers offer attractive and low-cost rental instrument programs if you're not ready yet to make a purchase. Schedule Your First Brass Lesson!